Remove the sunroof window panel. Refer to Sunroof Window Replacement. Remove the seal from the window panel frame by pulling the seal away at one point and continuing around the perimeter of the frame. Clean around the edge of the inside surface of the window with a 50/50 mixture of isopropyl alcohol and water by volume on a dampened lint free cloth, allow to air dry. Using a clean dampened cloth wipe the seal with a small amount of the same window cleaner in order to ease installation. Position the sunroof window panel seal onto the window frame, locating the starting end of the seal at the relief notch in the center of the passenger side of the frame. 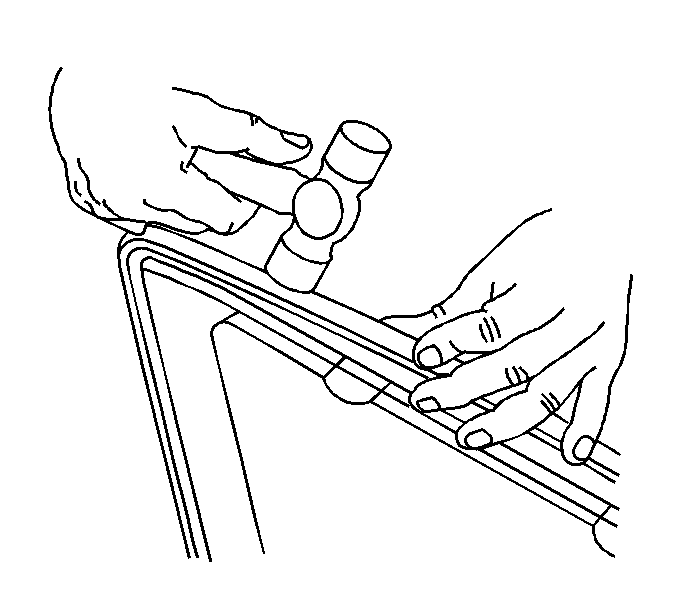 Ensure that the seal is properly seated around the entire perimeter of the window frame. 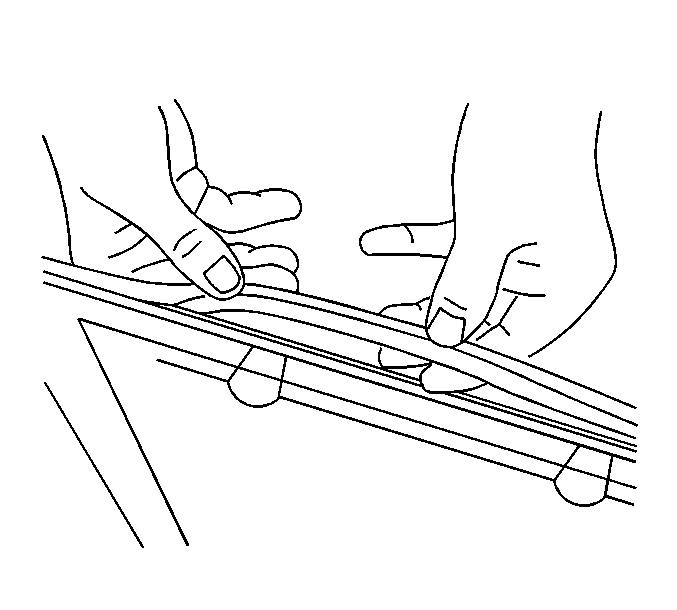 Firmly press the window seal into the retainer edge of the sunroof window, a 50/50 mixture of soap and water by volume will help in the installation. Install the sunroof window panel. Refer to Sunroof Window Replacement. Adjust the window panel height. Refer to Sunroof Window Height and Opening Fit Adjustment. Inspect sunroof for proper operation.